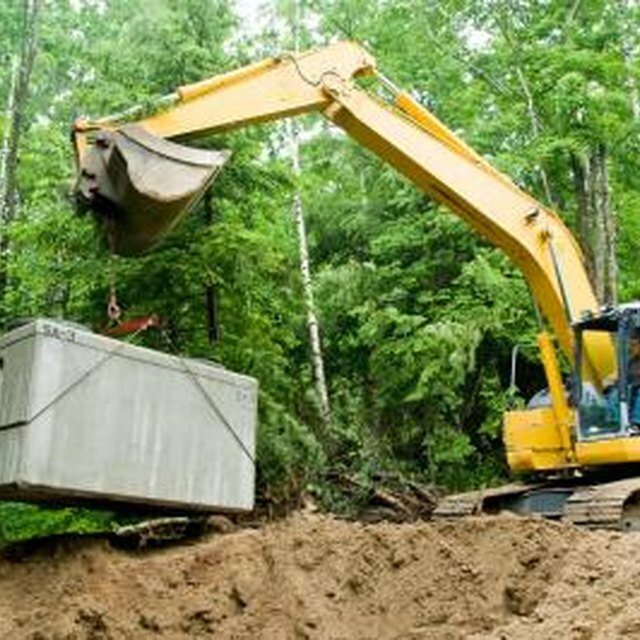 What Is a Septic Tank Cleanout Riser? Learn the facts about septic tank risers, why they're important, how to install them and costs to install them. Septic tanks require regular maintenance. The schedule varies depending on number of occupants and bedrooms. The average four occupant home requires digging up the septic clean-out lid about [every three years](http://inspectapediacom/septic/Septic_Tank_Pumping_Schedulephp) It's not that easy if you do it by hand with a shovel. If you have a deeper system, such as a basement, the lid can be 48 inches deep -- or more. Install a septic tank riser, and you'll never dig again. Some states have [codes](http://inspectapediacom/septic/Septic_Design_Regulations_USAphp) for new installations. If you need to dig up an old system, codes in your area may **require installing a riser on your old system** if the clean-out lid is more than 12 inches below the surface of the ground. Septic risers are [heavy-duty pipes](http://2bpblogspotcom/_8FzbbYp0NEo/TSPn2wdd6hI/AAAAAAAAKv4/a26LtW_S3Gc/s400/100_5835jpg) that fit tight over the hole in the septic tank -- after the clean-out lid is removed. Usually flush with the ground, or no more than 6 inches below the ground, a sealed lid on the riser is held in place with bolts or screws to facilitate **easy removal of the lid for maintenance** of the septic tank. Two types of riser pipe typify what's available. Most professionals prefer **corrugated, dual poly pipe**. It's rust proof, and easy to handle. Steel and concrete pipe is also available, but it's heavy, hard to handle, and the steel pipe rusts. Extra charges may be applied for cutting it. The typical home with 1, 2 or 3 bedrooms requires a [1,000-gallon septic tank](http://inspectapediacom/septic/Septic_Tank_Sizehtm). Add another bedroom and it jumps up to 1,200 gallons. A six-bedroom home requires a 1,750-gallon tank. But even though tank sizes differ, a **24-inch concrete lid is the most common**, requiring a 26- to 30-inch-diameter riser pipe for a 24-inch lid, to facilitate proper maintenance of the tank. **Cost to install a riser can vary wildly**, depending on your location, but generally speaking, the cost of a professionally installed riser depends on how deep it is. The cost typically includes a price per foot for the riser pipe, which averages about $45 per foot. Figure about $75 an hour for labor. Add another $65 for the lid. Installation costs typically do not include the initial digging up of the clean-out lid on the tank. Many local jurisdictions now require a minimum size of 1,000-gallon tanks on new construction. Most of the digging can be done with a shovel, but a backhoe can be used if you don't mind a bigger hole, at more expense. Locate the exact location of the tank. Permits are required at the time of installation, and should be on file. Contact your local District Health Department. The permits include measurements and specifics about your tank. If you can't locate a map or diagram of your tank installation, look for clean-out pipes, or locate the point where the pipe exits the home. Use a [steel probe](http://www.clallam.net/hhs/EnvironmentalHealth/documents/InstallingAccessRisers.pdf), tapping it as needed until you find the tank. Start 15 to 20 feet from the home, and work out from there. If it's deeper than about 36 inches, this might be difficult to accomplish. Professional use electronic devices to locate it. Extra thick or discolored patches of grass can be indicators of a drain field location. Use a shovel, or hire a backhoe to dig down to the tank. Contemporary tank [clean-out cover lids](http://inspectapedia.com/septic/Septic_Tank_Riser.php) are typically located at the end of the tank nearest the residence. When you get to the tank, recognize the lid by a steel handle, often made from rebar. Measure the distance from the top of the tank to a point within six inches of the ground surface. It's fine to place the lid flush with the ground. The choice is yours. Use the measurement to order or purchase the riser and lid. Don't leave an open hole. Cover it with plywood, or cordon it off to prevent falling into the hole. Lift the lid off the tank using the rebar handle. Concrete lids are heavy; septic tank professionals use a steel hook to lift off the lid. Toxic gas is emitted from septic tanks when the lid is removed. It's highly recommended to hire a professional at this point. Keep children away from the work site. Falling into an open septic tank can be fatal. Clean any dirt or debris from the tank surface. It must be clean and dry. Center the riser pipe over the opening. Seal around the bottom edge of the riser with an appropriate [epoxy](http://wilbert.ca/products/septic-tanks/orenco-products/epoxy). Fasten the lid on the riser. Poly lids screw on from the top, steel lids have a bolt fastener system. Fill the space between the riser and the hole in the ground with dirt. Risers help you to keep an [eye on your tank](http://www.puseptic.com/find-your-lid/), to remind you of regular maintenance, and you're more likely to get it done. But **flush riser lids will always be visible. ** Choose a green lid to blend in with the grass. Camouflage the lid with rock gardens, statues, shrubs or desert vegetation that doesn't require lots of maintenance. Don't plant trees or bushes with large root systems that might interfere, near a riser. Trees should stay a minimum of 25 feet from a riser. Don't plant vegetables, or anything edible near a septic system.